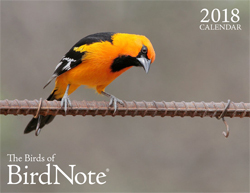 The 2018 BirdNote calendar is here! Give $120 or more — or sign up for a gift of $10 a month or more — and we’ll send you a copy with our compliments (while supplies last). As an independently funded and produced program, we rely on the support of our listeners to pursue our mission. Thank you! 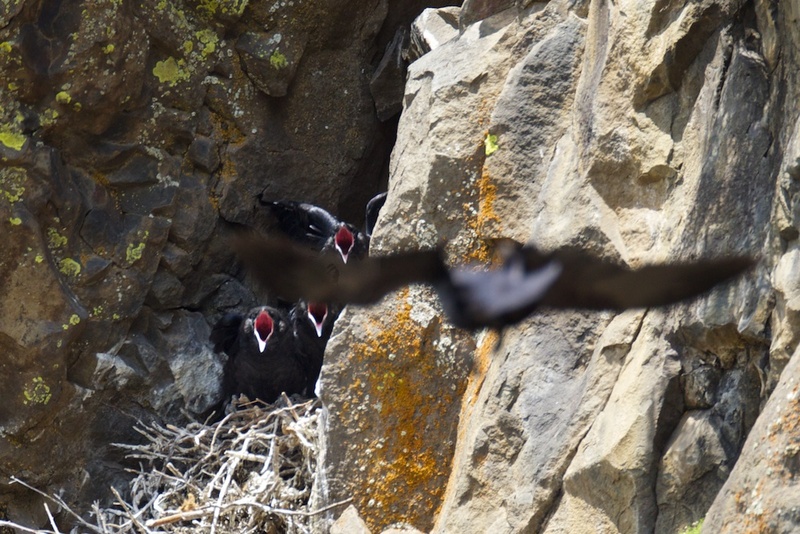 BirdNote stories – joyful, positive, and packed with facts – share every amazing detail of birds’ lives. They connect us and inspire us to care. 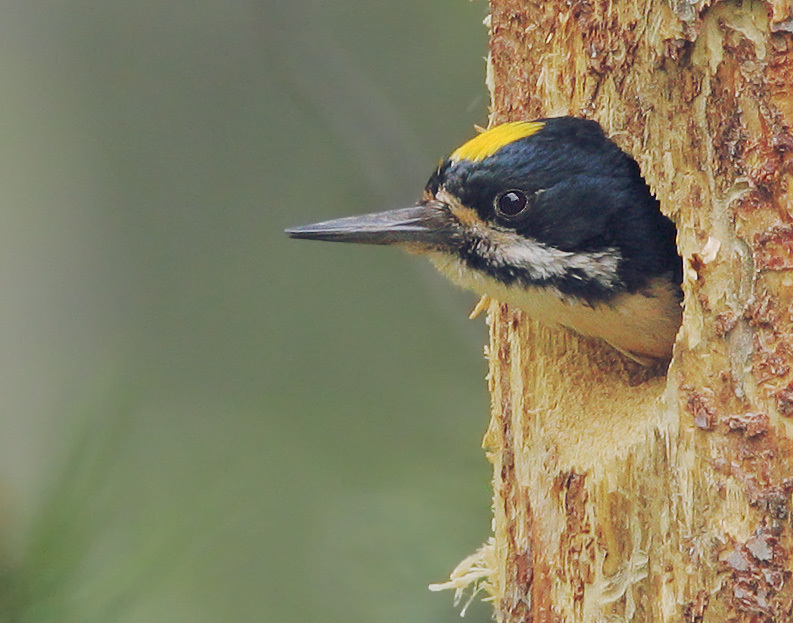 And every day, members of the BirdNote corps of photographers bring the stories to life. 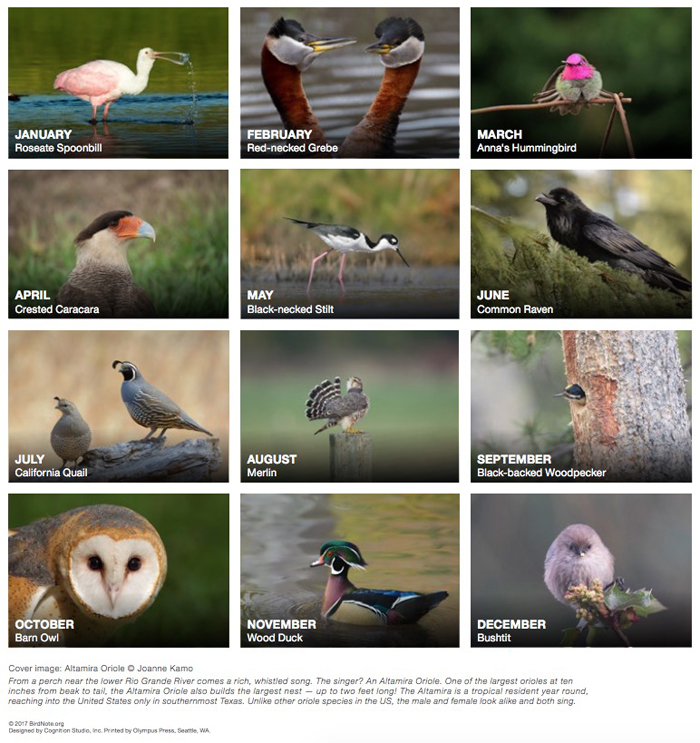 Hundreds of photographers have generously shared their photos with us since BirdNote began in 2005. The 2018 Birds of BirdNote calendar features images from 13 long-time BirdNote photo contributors. You can learn more about each one by clicking on the name. From Johngarp Harrison, an independent bookseller and frequent visitor to the Mount Auburn Cemetery in the Boston area, to two birders in the Houston area, Joanne Kamo and Greg Lavaty, to a law professor at Stanford University, Tom Grey, now retired. 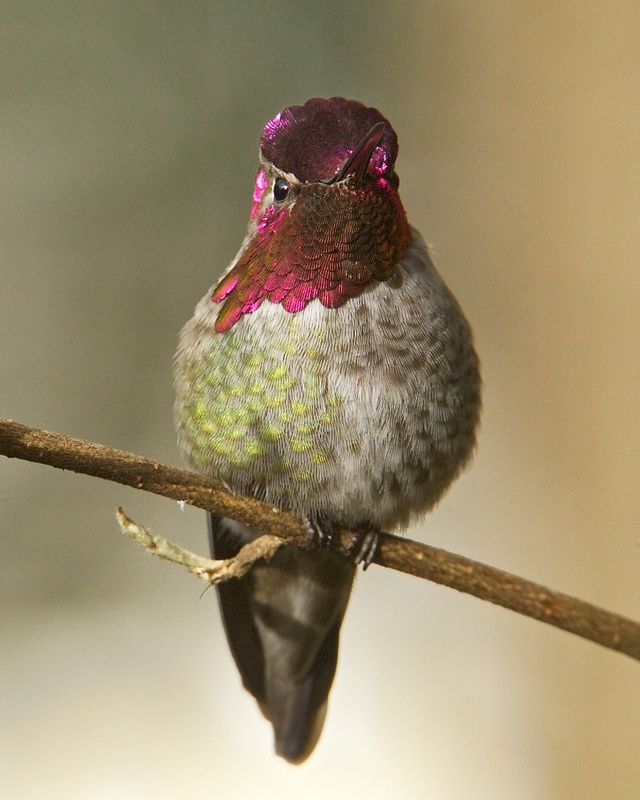 Five regular contributors hail from the Pacific Northwest, where BirdNote got its start. They are Mike Hamilton, a retired Boeing engineer; Gregg Thompson, a biologist who worked with Woodland Park Zoo; Dory Hamlyn, retired teacher and avid BirdNote traveler; Mick Thompson, board member and chapter photographer at Eastside Audubon Society; and Tom Munson, who spends most of his time on the back roads of Eastern Washington. At the opposite corner of the country, Tara Tanaka tends her 45-acre refuge with 275 Wood Stork nests in her backyard swamp in Tallahassee, Florida. Eugene Beckes was an avid tree-climber when he was a kid and is still exploring nature in St. Ignatius, Montana. Taiwan native Jerry Ting is a frequent contributor to Audubon chapters and to online birding groups in the San Francisco East Bay Area. And Daniella Theoret, artist and animator, lives between California and Montreal, Quebec, Canada. 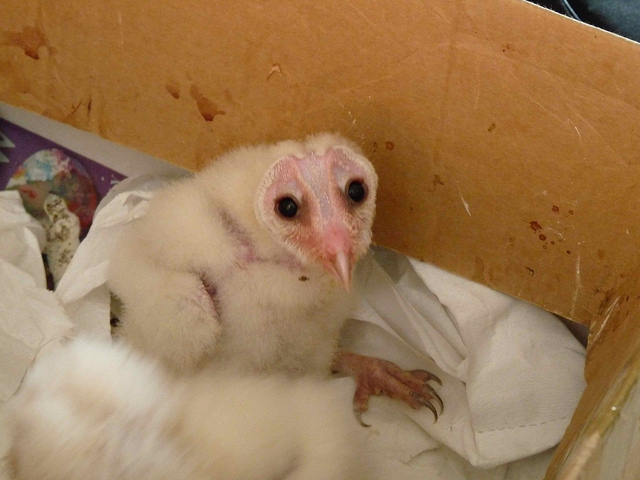 We are thrilled to feature the work of these remarkable contributors to BirdNote. And we are grateful to Paul Bannick, Gerrit Vyn, and the hundreds of others who have been so generous with their work since BirdNote first aired in 2005.